I can divide up my life by books: epochs of reading indicated by the particular volume that served as my security blanket, my favorite refuge, for that period. These are the formative few that found me at exactly the moment I needed them. The W-Z shelf in my elementary school library formed a corner with another, lower shelf that, when I settled criss-cross onto the nubbly carpet, made me feel safe – walled up in a castle. The books at eye level when I situated myself this way included Angelfish, which I checked out so many times throughout the years at St. C’s that the librarian gave me that copy as a graduation present at the end of 8th grade. She said it was clearly mine. I called it my Belle book, after the scene in Disney’s Beauty and the Beast when the bookseller gives Belle her favorite book free of charge. 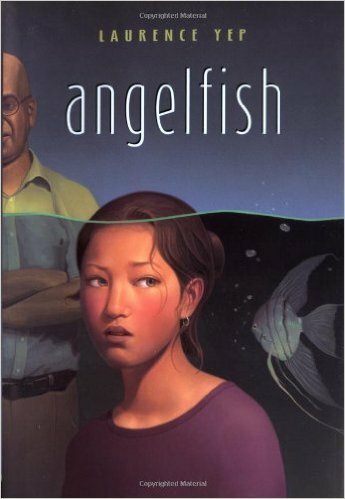 The reason I read it 17 times in a single year is that Angelfish is a love story about a girl and dance. Robin, the narrator, loves ballet so much she declares she will always find some way to be a part of it, even if it means just sweeping the stage. “That’s the way you love something when you’re young,” her teacher responds. The plot involves Robin helping a victim of the Chinese Revolution rediscover his own art – originally dance as well, now painting – and reaffirm the value of having that joy in one’s life. Having quit my own ballet lessons years before, I probably couldn’t have told you in 8th grade why I loved this book so much. Now I think I needed it to give me an example of how to hold on to your passion despite the naysayers. This must have been one of my first feminist books. The stubborn, witty heroine, Cimorene, gets bored being a princess, so she runs away to serve a dragon. Although irritated by the conventions that bind her (dealing with all those princes trying to rescue her against her will, for instance), Cimorene also frequently uses her society’s stereotypes of silly princesses to her own advantage (e.g., getting an evil wizard to let slip a few details of his plan). She finds a way of life that makes her happy and fulfilled even though few people originally understand her desires. Beyond the quips and amusing dialogue that appealed to me as a sarcastic teenager, Dragons showed me that if you persist in chasing your dreams, you’ll find people who will listen to you. The dragon she serves, for instance, believes Cimorene when everyone else wants to write her off as just another hysterical princess. Plus there’s swordfighting. Who doesn’t love swordfighting? 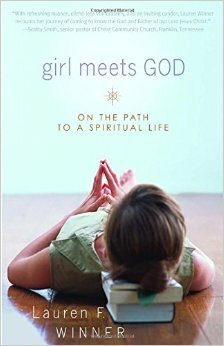 I gave up reading anything but religious books for Lent one year, and it led me to this memoir of a Jewish girl turned Episcopalian. Nearly every page held a turn of phrase that made me think, “Yes, exactly,” or “I thought that was just me!” In a section on Lent, the author’s priest asks her to give up reading for the liturgical season, and I nearly dropped the book in surprise. I just saw so much of myself and my own questions and confusion about faith (and life in general) in this book, even though I was raised Catholic and intend to remain in the Church. 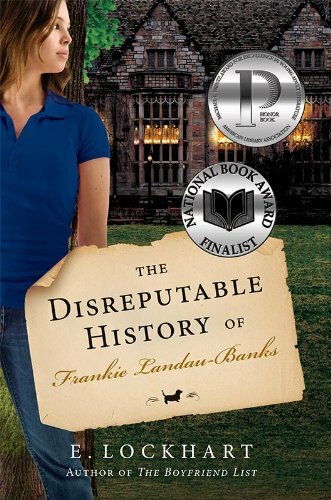 I love the honesty about the difficult parts of belief and the self-awareness the author demonstrates in her writing. Once I finished the book, I immediately turned to the first page again, this time with a pencil to underline and annotate the parts that spoke to me the most. Since then, I’ve read it nearly a dozen times, at least once a year, each time making new notes and looking back on my past self’s questions and scribbles about faith and life. Cimorene!!! 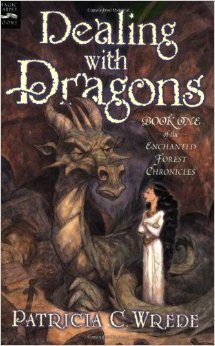 Loved the Enchanted Forest Chronicles. Seriously, she’s the best. I love how she’s always correcting the knights on their etiquette.